your home. Curb appeal means a lot these days! 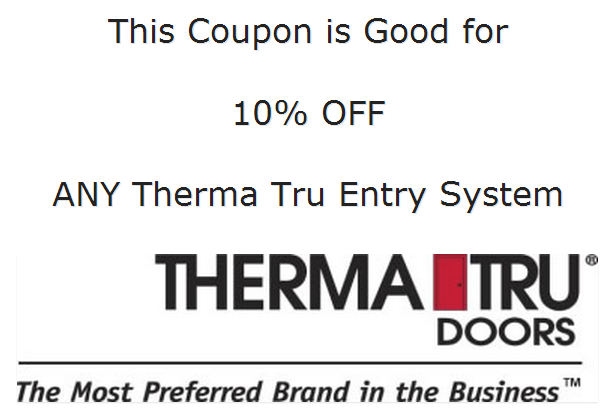 Print coupon and present at time of PAYMENT to receive 10% off our price on any one THERMA TRU Entry Unit. One coupon per customer. Not good with any other offer. Monday – Friday, 7 a.m. – 4 p.m. Thank you for visiting our website. If you have any questions, call us at 757-229-5150, email us or visit our contact page.